the Common Sense Show . .
. .In large part, the American people have been conquered through the principle of groupthink. 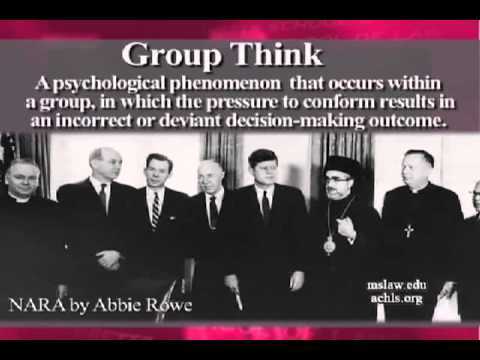 Throughout history, groupthink has played a prominent role in coercing the public of any nation into going to war for the benefit of the elite ruling class and their financial bottom line. The illusion of invulnerability is often perpetuated when a cause comes first becomes public. “If God is for us, who can be against us” is often the kind of mentality that permeates a group in which self-righteousness will somehow protect the group from the faulty decisions of their leaders. It would be interesting to ask the tens of millions of dead people who died in the two world wars in the 20th century how well this illusion works. This illusion of invulnerability creates excessive optimism that encourages taking extreme risks. For example, when NFL player, Pat Tillman forsook his lucrative playing career and volunteered to serve in Afghanistan, following 9/11, he was killed by military leadership for expressing the anti-war views he increasingly came to believe. In the early days of a movement, people lose their minds and volunteer to give up their lives in order to kill complete strangers in order that billionaire bankers can make billions of dollars of more money. Belief in an inherent and self-righteous morality. This view is often expressed, as President George W. Bush once said “You are either with us, or you are with the terrorists”. The members of the group believe in the rightness of their cause and therefore ignore the ethical or moral consequences of their decisions. This type of group psychology has given history some its darkest days. Direct pressure on dissenters in the group begins to surface in the early days of a movement. Members are under pressure not to express arguments against any of the group’s views. 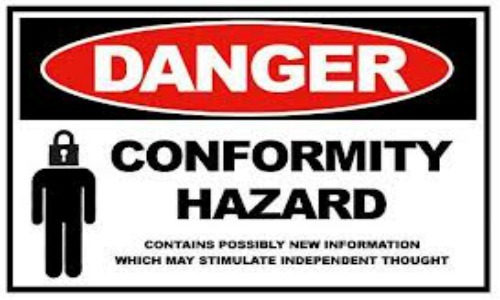 Political correctness is often used to usher in a group think kind of paradigm change. We have witnessed this climate change arguments and the advancement of gay marriage where nobody dare speak out against the concept at the risk of being branded “prejudiced”. The illusion of unanimity is perpetuated in and among the members of a group. The majority view and judgments are assumed to be unanimous. This becomes the well-spring of prohibitions on free speech, politically motivated roundups and deportation to concentration camps (i.e. FEMA camps). Nowhere, can we find a better example of what happens when six corporations control 98% of the media. Browse through the networks, during the news hour, and you won’t find a stone’s throw difference between the way that CBS, NBC, ABC, CNN and Fox, report the news. 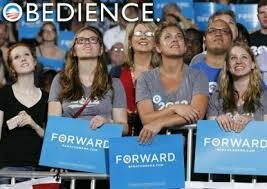 It is the ultimate example of groupthink. And it is the single most important reason that we have a “sheep mentality “among 95% of the people in this country. Historians often point to examples of groupthink “fiascoes”. Dr. Janis offers as examples“the US failures to anticipate the attack on Pearl Harbor, the Bay of Pigs invasion, the escalation of Vietnam War, and the ill-fated hostage rescue in Iran”. Certainly, the flawed policies enacted in conducting the wars in Iraq and Afghanistan are prime examples of this erroneous thinking brought about by the eight elements of group think. And this flawed thinking has led to the rise of ISIS, with the help of the CIA. I am of the belief that the independent media is on the threshold of a major breakthrough and the 10% plateau will actually be achieved if even for only a short time. 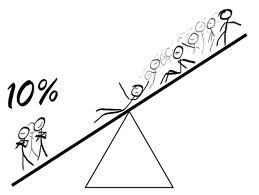 I firmly believe that the 10% factor will only be achieved for a very short time. The globalists are not yet ready to completely subjugate the planet. However, they do have failsafe positions which they will resort to if the trend curve of their movement is being thwarted by an awakening population. What are these failsafe strategies? World War III comes quickly to mind. One has to simply create a false flag, blame the next terrorist group and go to war in order to perpetuate the threat. Groupthink is invoked and history repeats itself, again. The globalists have even a more virulent failsafe position in the form of a biological attack upon the people of the United States. A widespread biological attack would quickly reverse the momentum of any social movement against globalist tyranny.